Born in the U.S., Katrina grew up with the West Coast sound (Fleetwood Mac, Linda Ronstadt, Emmylou Harris, Heart). In 1976 she moved to the UK, where a few years later, Katrina, together with fellow American and future Wave, Vince de la Cruz, formed the band Mama’s Cookin’. As a singer, Katrina was inspired by Motown and girl groups such as The Shangri-Las and The Shirelles. In 1983 Katrina and Vince joined The Waves (a Cambridge based band with ex Soft Boy, Kimberley Rew) and she picked up on some of their musical influences such as Etta James, Velvet Underground and the Stones. The band became Katrina and the Waves, and in 1983 they recorded an album of original material, at their own expense, which was shopped around various labels and sold at gigs. They were signed by an independent Canadian label – Attic Records and their first album Walking on Sunshine was released just in Canada. Katrina and The Waves toured Canada in 1984 and released a follow up album Katrina & The Waves 2. Katrina and The Waves had their first big break in 1984 when The Bangles covered their song ‘Going Down To Liverpool’. This drew attention to the group and lead to an international deal with Capitol Records. The band’s first album was re-recorded and remixed. Scott Litt who went on to produce REM and Nirvana, produced ‘Walking on Sunshine’ – it was his idea to add the drum intro which made it irresistible to radio DJs. The first Capitol album, Katrina & The Waves released in 1985, was a substantial critical and commercial success and ‘Walking on Sunshine was a worldwide hit earning top ten spots around the globe. (No. 8 UK, No.9 US, No.3 Canada, No.4 Australia). Since then, the song has been broadcasted over 2,500,000 times in the U.S. and was the highest played track on radio in the summer of 2008 – 23 years after its release. •	‘Walking on Sunshine’ has recently featured on American Idol, X Factor and The Voice. Katrina & The Waves were nominated for a Grammy for “Best New Artist” and were constantly touring the US, Canada, Europe, Australia and Japan. Their follow up single, ‘Do You Want Crying’ was a top 40 hit in the US and ‘Sun Street’ was a UK Top 30 hit in 1986. In 1989 Katrina & The Waves recorded a more rock-orientated album for Capitol subsidiary SBK Records – Break of Hearts which included ‘That’s the Way’ which reached No. 16 in the US charts. The band toured worldwide with artists such as Wham, The Beach Boys, Don Henley, Pointer Sisters, Chaka Khan, The Kinks, Fleetwood Mac, Coolio and Run DMC. ‘Walking on Sunshine’ was followed by more chart hits – ‘Do You Want Crying’ and ‘Que Te Quiero’ in 1985, ‘Sun Street’ in 1986 and ‘That’s The Way’ in 1989, with performances at Madison Square Garden, The Mall, Washington DC, The Marquee Club and CBGBs where Katrina sang with Joey Ramone. The following year, Katrina and the Waves split up and Katrina pursued an alternative career on radio and TV. She was a TV presenter on Watchdog on BBC1 and was then offered her own show on BBC Radio 2 – where she presented a three-hour show, five days a week for the next year and a half. This was followed by a stint in musical theatre, where Katrina played the lead role (the songwriter Ellie Greenwich) in Leader of the Pack, singing some of the songs that had influenced her as a young singer. In 2001, Katrina began a solo career, performing live in the UK and in Europe and resumed writing and recording. 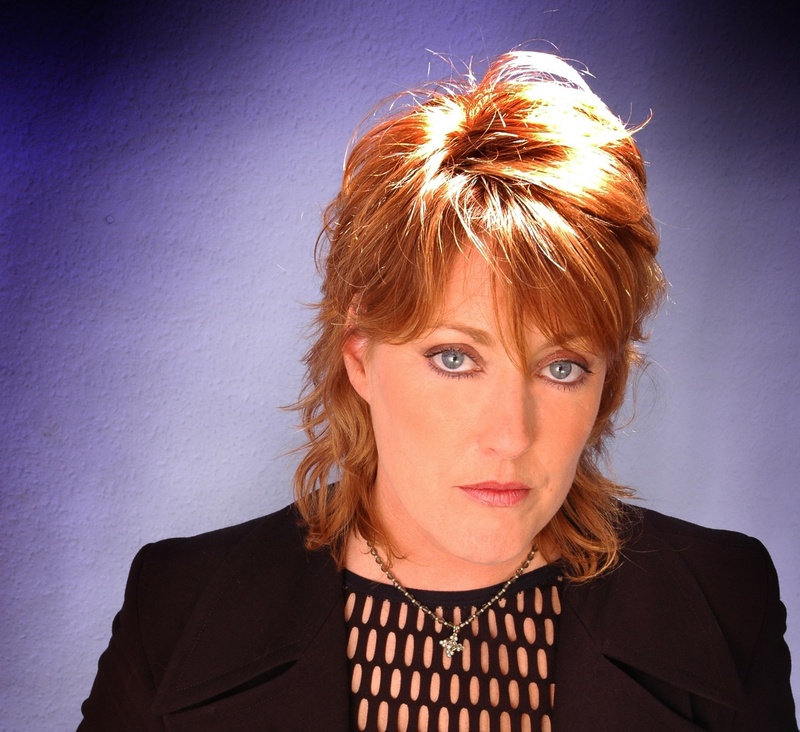 Her first solo album, ‘Katrina Leskanich’ was released in 2005. Katrina wrote and produced many of the songs on the album, which includes collaborations with Phil Thornalley, (‘Torn’) and an acoustic cover of Kirsty MacColl’s, ‘They Don’t Know’. In 2007 Katrina covered ‘Hitsville UK’ on The Sandinista! Project – a new compilation and tribute to The Clash Sandinista! Album. And toured Australia on the Countdown Spectacular tour and Norway with Gylne Tider. Katrina’s single ‘They Don’t Know’ was included on the Gylne Tider 2 album which went platinum. The following year, Katrina had a UK club hit in 2008 with a dance version of ‘They Don’t Know’. 2010 – Katrina celebrated 25th Anniversary of ‘Walking on Sunshine’ with the release of a new CD, The Live Album and the Glee Cast had a UK Top 10 hit with a mash up of Beyonce’s ‘Halo’ and Katrina & The Waves ‘Walking on Sunshine’. The EP Spiritualize was released in May 2011. Katrina published her first book – Peggy Lee Loves London: My London Guide (Metropoodle Press 2013) where Katrina explores London in a new city tour guide series and 2014 saw the Retro Futura Tour of North America with other 80s artists including Thompson Twin Tom Bailey, Howard Jones and Midge Ure. Katrina also released her first studio album for 10 years -Blisland to celebrate the 30th anniversary of ‘Walking on Sunshine’. in 2015 Katrina toured South Africa with Rewind and toured North American with her NYC band of former Blackhearts. In 2016, Katrina took part in the BBC’s ‘Eurovision: You Decide’ and toured Australia ‘Totally 80s’ Tour and Sweden during the summer. Currently Katrina is working on her autobiography, ‘Don’t It Feel Good’ and a pop album for release in March 2017.